Kanye West "Don't Look Down"
In what's become more G.O.O.D. Saturday than Friday, Kanye West has finally dropped his latest download. 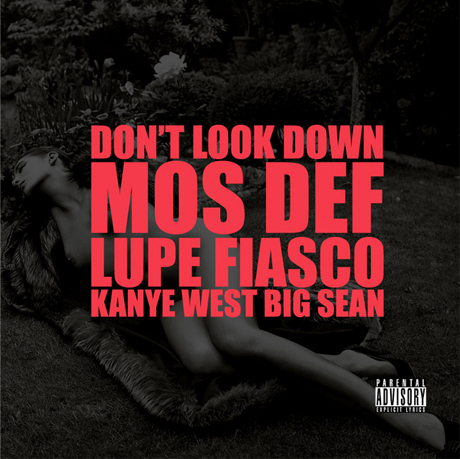 This time around, it's "Don't Look Down," which come featuring a familiar cast of guests that includes Mos Def, Lupe Fiasco and Big Sean. You can grab the track over at Kanye's website.